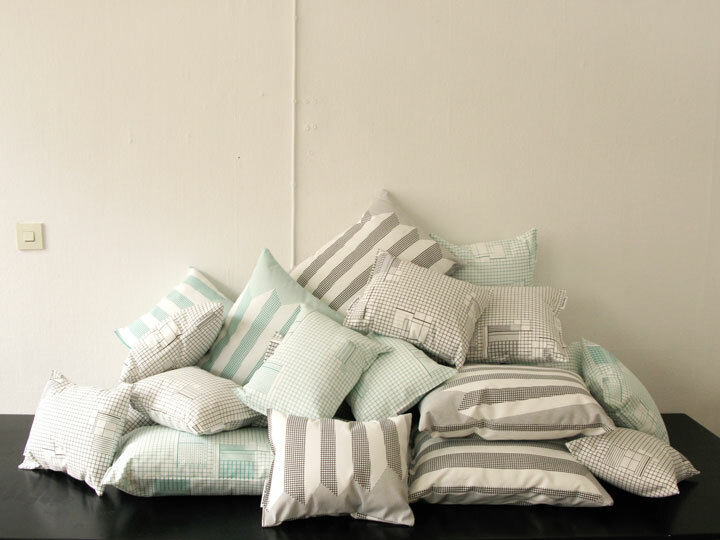 Pillows Gray and Greta. The patterns are named after the designers Greta Magnusson Grossman and Eileen Gray. Hand-printed on 100% cotton.